Inman Park has a great festival coming up on April 29th and 30th, 2017 from 11:00am – 6:00pm . 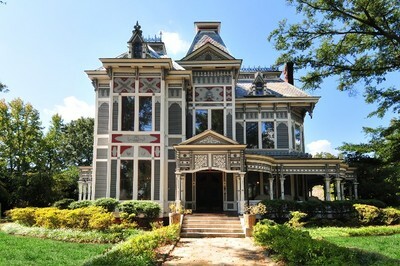 While you are there, be sure to check out some of the most beautiful Victorian-style homes in Atlanta. Beautiful Brick Townhome in Upscale Gated Subdivision, with Creekside Path. Flowing bright floor plan with 10' ceilings, Hardwoods, Separate Dining Room, Epicurean Kitchen Open to Family Room, French Doors Open to Deck. Spacious Master Bedroom Suite, Large Walk-In Closets, Terrace Level with TRUE Bedroom & Full Bath. Minutes to I-85, Emory, CDC, Lenox, MARTA Rail Station at Lindbergh, Midtown & Dog Walk/Run Areas. Terrace Bedroom can also make great Office/TV Room/Workout Room/PersonCave. On MARTA Bus Route, 4 Blocks To New Cheshire Farm Trailhead entrance. Atlanta’s favorite fair is returning. Bring your family to enjoy this old-time experience! Kids can be dazzled by the sights and sounds, and play interactive games. 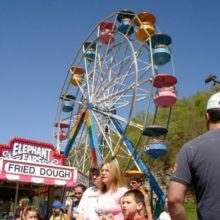 Climb on the Towering Ferris Wheel, Flying Dutchman, 45-foot Ring of Fire, and for the first time ever, the Inversion, a twisty sky-high tower that will have adrenaline junkies in seventh heaven! Foodies will love the all-time classics, like fluffy cotton candy, candy apples, elephant ears and more!